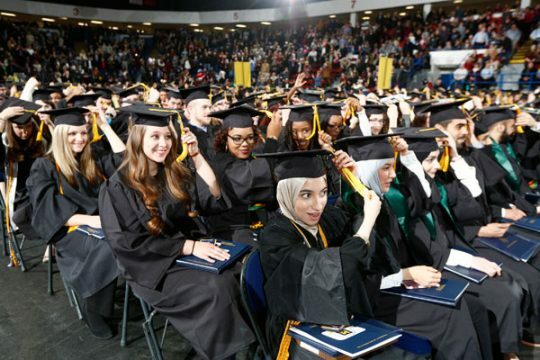 University of Michigan-Flint celebrated its December Commencement Ceremony Sunday. 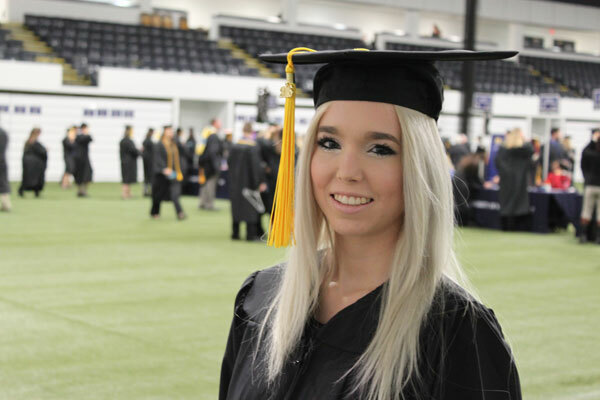 About 630 students graduated this semester, as more than 400 walked across the stage at the Dort Federal Credit Union Event Center. Students represented all five schools within the university. Here are some of their stories. 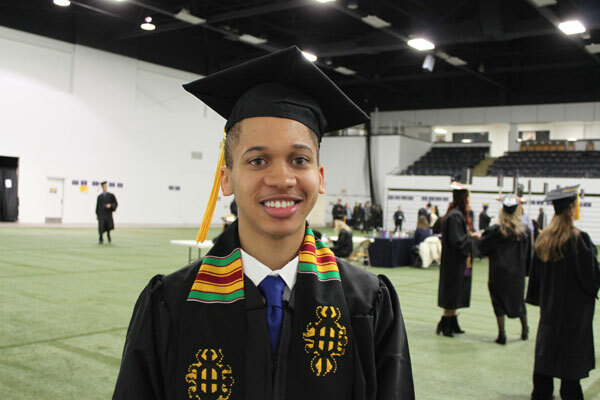 Jovante Lawrence began his college career at UM-Flint with a head start on knowing campus. While at Beecher High School in Flint, he visited the school and stayed in the dorms. And when he joined the university in the fall of 2012, Lawrence said he received plenty of support with navigating campus. “That familiarity, it made it a very comfortable environment,” he said. That familiarity helped Lawrence dive into his classes and thrive. He is graduating with a bachelor’s degree in communication, with a minor in entrepreneurship. He is now looking for professional opportunities in radio or television. Mohammed Aldhamen’s cousin had some advice for him when he was looking at where to study. Go to UM-Flint, the cousin said. 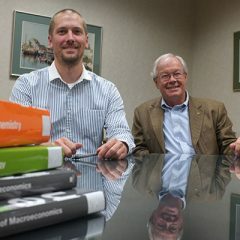 Family knows best it turns out, as Aldhamen left Missouri and followed in his cousin’s footsteps of attending UM-Flint. 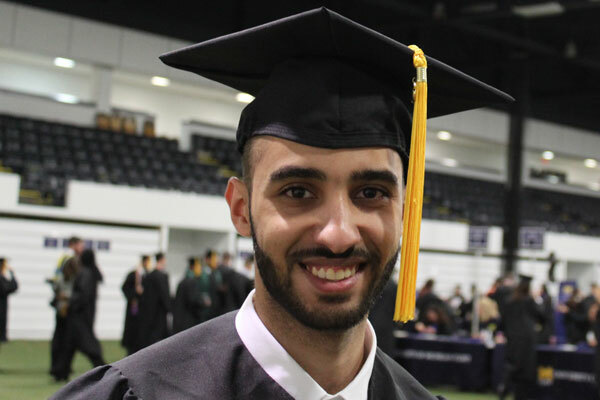 Aldhamen’s four year career on campus culminated Sunday with the commencement ceremony. He earned his bachelor’s degree, studied medical technology, and landed an upcoming internship at Hurley Medical Center. Morgan Brown knew since high school she wanted to pursue a career in accounting. She found her professional platform at UM-Flint. 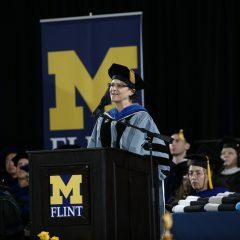 Brown transferred to the university in 2014, and embraced the School of Management culture and overall UM-Flint experience. “I loved it. We all had our classes together,” she said about taking classes with her School of Management peers. “That was super nice,” she said. 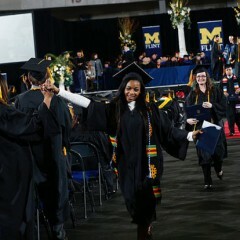 Brown plans on pursuing her master’s degree in accounting at UM-Flint starting next year. But Sunday, it was all about celebrating. Olufunke Ajifolokun began her UM-Flint studies in January, 2014, when she already was a practicing nurse. But her studies elevated her professional skills even further. 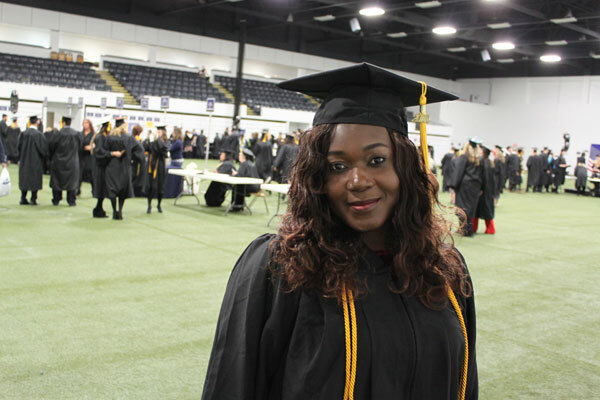 Ajifolokun said her leadership skills and ability to communicate with other health care professionals improved, thanks to her UM-Flint studies. She continued as a full-time nurse during her studies and said it continuously helped her improve. Joseph Posante knew he wanted to pursue his master’s degree in educational technology, but needed to balance this work with his full-time teaching job, and raising a family. 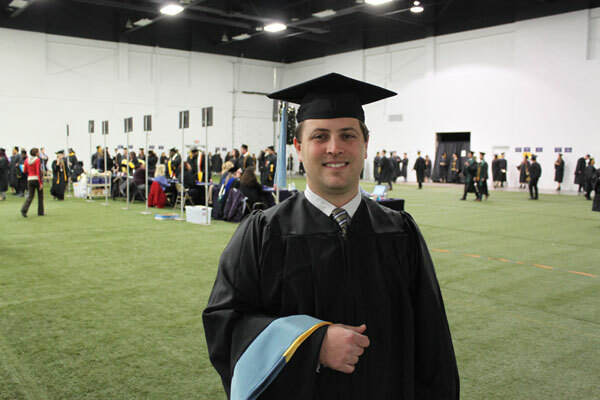 He found an answer by earning his graduate level degree from UM-Flint because he was able to take his classes online and receive the high level of training earned with a University of Michigan degree. His advisor would often meet him in person for support. “It’s all online but you still have the personal aspect. The classes were great and rigorous and really thought provoking,” Posante said, who is a pre-K through 8th grade science enrichment teacher at a charter school in Detroit.